Do you need a Portsmouth Heating Engineer? Todds Plumbing and Heating Ltd is greatly experienced in the field of heating and is your best choice for a Portsmouth heating engineer. We can provide you with a wide range of high quality heating services within Portsmouth. Our locally based Portsmouth heating engineers are readily available to promptly deal with your heating needs. We can repair or replace your gas or electric heating appliances quickly and without fuss. Todds Plumbing and Heating Ltd operating as a Portsmouth heating engineer, are able to offer a wide range of heating services in Portsmouth and Hampshire. Don’t neglect your heating system and boiler. It is recommended that your heating system be checked over at least once a year so that you can ensure that it is working effectively. These things usually break down when you least expect it and you can get caught off guard. It is never a nice experience having no hot running water or heating especially when the mercury falls, so get in contact with us to arrange a date and time to have your heating system checked. We take great pride in all the heating work we do so you can rest assured that you are getting the highest quality of heating service possible. We have received many great customer recommendations from our loyal and satisfied customers over the years. You can see some examples of the great customer feedback we have received on our plumbing and heating customer testimonials page. All heating repair and heating installation work we undertake as Portsmouth heating engineers is fully insured and comes with a customer satisfaction guarantee. Remember that we only use fully qualified Portsmouth heating engineers that are gas safe registered for any works that we undertake. 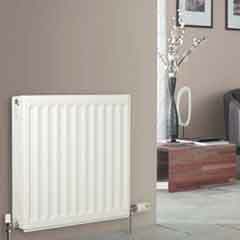 Please do get in contact with us to discuss your heating requirements.